Expires April 30, 2017. A COMPLETED PROJECT OF $4000.00 or more through this website. Can not be combined with any other specials. Must present this page to inspector at the time of appointment. At Integra-Clean & Dry Mold Remediation, we create a healthy living environment. Mold can grow anywhere. It simply needs oxygen and moisture to flourish. 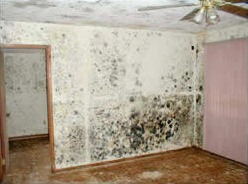 Mold gradually destroys anything it grows on. Integra-Clean & Dry kills mold. Since dead mold is still allergenic and some dead molds are potentially toxic. We then proceed with mold remediation process. An early detection by our mold inspector for moisture problems can save you time and money. Mold is also known for causing structural damage to a home. Are you a Milford homeowner who has a mold problem? Of course, you will want to have the mold removed from your home or your business. Integra-Clean & Dry offers mold remediation and mold removal service. If you are interested in having the mold in your home or business professionally removed, then call Integra-Clean & Dry home mold remediation services. Servicing Northeastern Pennsylvania. We are dedicated to rendering the very best home mold remediation services with a focus on customer care. Mold remediation is the removal of mold process. The clean up process for level 1 and level 2 is the same. At Integra-Clean & Dry we not only remove the mold safely, we also solve the issue, which causes mold to grow. Mold is usually created my moisture. Integra-Clean & Dry are your crawl space moisture control specialists. Integra-Clean & Dry are established mold removal specialists servicing Northeastern Pennsylvania. Thrоughоut thе years, we have never left any of our clients unhappy with our mold remediation service. As professional mold removal specialists, we will remove mold completely. With our level of expertise and experience, we will restore your home or property and promote good health in the process. When we arrive at your home, the first thing we will do is speak with you about your concerns and find out what you think your issues with mold are and have been. We will then do a visual inspection of the home. This will include the areas where you have concern and also other areas that we know mold has a tendency to grow. These areas would be in dark low ventilation, damp areas, with furnishings close to walls, lowest levels of the home and attics, usually. While doing the visual inspection, if mold growth is found, we will also be determining the cause for that mold growth, which will impact the Plan of Action and Scope of Work for your potential project. Without these steps being taken, a permanent solution is unlikely. After our findings are determined, we will give you a written detailed report of the necessary steps to successfully remove the mold and eliminate the cause of the growth. This is the only way to guarantee there won’t be a return of mold. If you haven’t found mold but suspect there is mold growth because there is a funny smell or family members have been having a lot of sickness, call us. Sometimes we find mold where homeowners can’t. If we come out and we can’t find any mold and you still suspect there might be a mold problem, we can do mold testing for you, kind of like a Dr. would do, to rule out mold as being the problem causing the illness(es) This testing would be a testing of the air, to see if there are toxic , or allergenic type molds in the air inside the home, or if there are molds that are not within normal guidelines, highly elevated, in comparison to the outside counts, taken on the same day at the same time. These tests are read by an outside laboratory and the results are sent to us quickly, within about two days. If these findings return with unfavorable counts and types, we would return to the home and go the areas that showed bad test results to determine a plan of action. If our visit determines you have confirmed mold and would like it to be remediated by our company, a signed contract and proposal, will specify your project procedure and timetable of project. Most times you don’t have to leave you home while the project is being done, unless there are extenuating circumstances, and with a few exceptions, our project completion times, run within our proposed timetable. We guarantee our work! 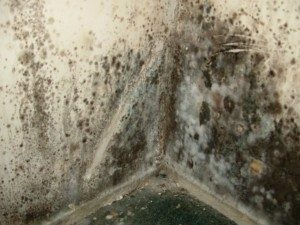 Mold can grow anywhere it can find oxygen, moisture and organic material, and it thrives in damp, humid areas of the home. Because of this, mold in the basement is a common problem for homeowners. Basement mold is often the result of a source of moisture — leaky foundations or condensation from appliances are typical culprits. One of the first steps in the prevention of basement mold is to ensure that your basement is free of any moisture and doesn't support a damp, humid environment where mold can thrive. If mold in the basement is already a problem in your home, there are many options for the basement mold removal. Depending on the extent and severity of the problem, and the type of mold, you may need basement mold removal professionals such as Integra-Clean & Dry. In particular, cases of severe toxic black mold growth may require our immediate attention. Mold in the basement is a common problem, but by understanding how to identify problem areas and prevent and control mold growth, you can avoid the potentially costly and unhealthy spread of basement mold. #1. When buildings are being constructed, we have a MOLD RETARDANT COATING PRODUCT that can be sprayed on the new structure, and it is guaranteed for 20 years. In addition to new building construction, this MOLD RETARDANT COATING can be sprayed on new additions under construction, before drywall is up and in basements that are having studs installed for walls, to be added to finish the space. #2. Our MOLD RETARDANT COATING is applied to MOST Crawlspace wood structure, after a mold remediation projects. It is usually applied to Most Attic wood structure, after a mold remediation project and is sometimes applied in basements to the floor joists, after a mold remediation project has been completed. This is an extremely good added value for customers and their homes, because it protects their wood structure in the event there is an emergency that causes water entry. This coating won’t allow mold to eat the wood for a period of time, allowing the homeowner to correct the problem, before damage begins to occur again and mold begins to start feeding on the structure again. Thank you fоr taking thе time to lеаrn аbоut оur Milford соmраnу and оur service. Wе lооk forward to providing you with the very best home mold remediation service! Contact us today at Integra-Clean & Dry! The Pike County Historical Society Museum in Milford includes in its collection the "Lincoln Flag", which was draped on President Abraham Lincoln's booth at Ford's Theatre the night he was assassinated. The flag was bundled up and placed under the President's head, and still bears his blood. It was kept by stage manager Thomas Gourlay. He passed it down to his daughter Jeannie, an actress who had appeared in the play, Our American Cousin, at the theatre that night. She later moved to Milford and the flag was donated to the museum after her death. Today, Milford is home to places such as the The Columns Museum of the Pike County Historical Society. We provide water cleanup services throughout Milford PA, including 18337. We will travel to you! Mold Remediation Services to all of Northeastern PA.